Lighting is a great way to illuminate your home’s exterior and boost curb appeal. It also serves an important purpose in deterring burglars and ensuring you can safely get around at night. If you’re working on a new construction or thinking about upgrading your existing lighting, there are considerations to keep in mind. To help you get started, you can use the outdoor lighting guide below. Before you begin, know what your goals are. Do you want to accentuate certain aspects of your home? This is a great idea if you have unique architecture. Hanging porch lights and roof corner lighting are two examples. Do you want to illuminate walkways or your patio? Consider over-door lighting or larger floodlighting for lawn areas. Do you want to enhance home security? Make sure to invest in quality motion-detection lighting, over-garage-door lighting, and powerful floodlighting for dark yards and fenced-in and secluded areas. Aesthetic lighting needs to be carefully positioned so that the glows cast don’t clash with one another or create sharp shadows. For home fronts, consider mounted wall lighting on each side of the porch and flat fixtures that cast an even, vertical glow over a garage. Roof corner lighting can be used to enhance the contour of your home and create dimension. For security lighting, make sure it’s placed in especially dark areas, such as the side of your home or around a back door surrounded by foliage. Mount them so they’re out of reach and position them so they illuminate large areas. 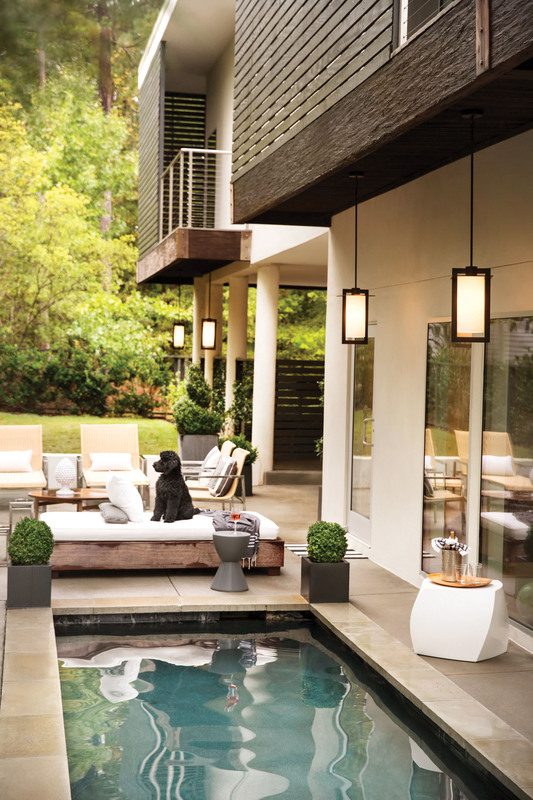 Outdoor lighting takes a beating from the elements, so invest in high-quality products. They’ll hold up against inclement weather, and you’ll also get longer use from them. Premium fixtures will also be more reliable, which is important for security. For the best illumination and energy savings, use LED bulbs. They offer soft light, come in various colors, and also integrate well with smart systems. Ready to upgrade your outdoor lighting? Kentucky Lighting & Supply is proud to carry a large variety of products at their Lexington showroom. Whether you’re a residential, commercial, or industrial client, you’ll find a number of light fixtures and home accessories to meet your needs. Begin browsing their inventory online and call (859) 259-0466 to speak with a representative.